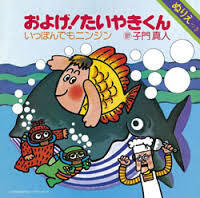 Masato Shimon composed the song "Oyoge Taiyaki-Kun" in 1975. It is classified like a Children's song because it was always published in a Japanese child chain of television. It is at the moment the best-selling song in Japan, holding over 4.5 millions of copies.